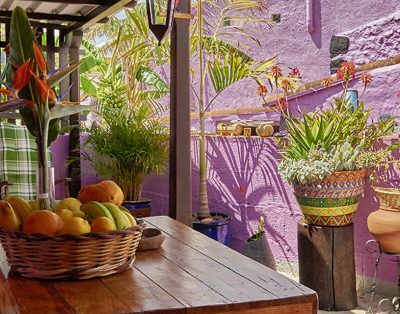 Finca Casa de las Palmeras is located between El Paso and Los Llanos and has 9 different residential units, a fantastic garden and 2 swimming pools. 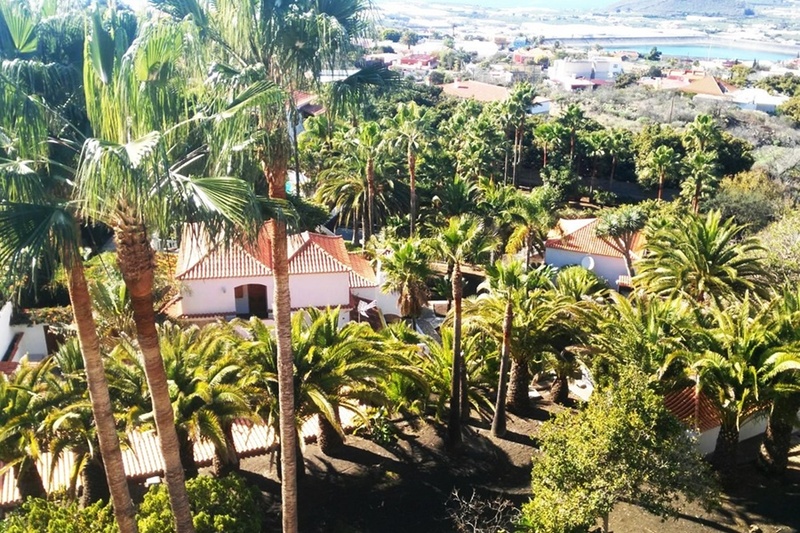 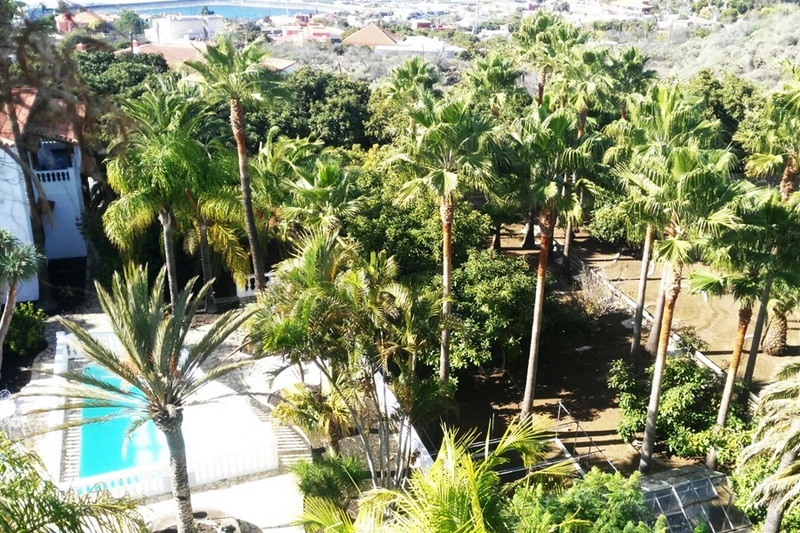 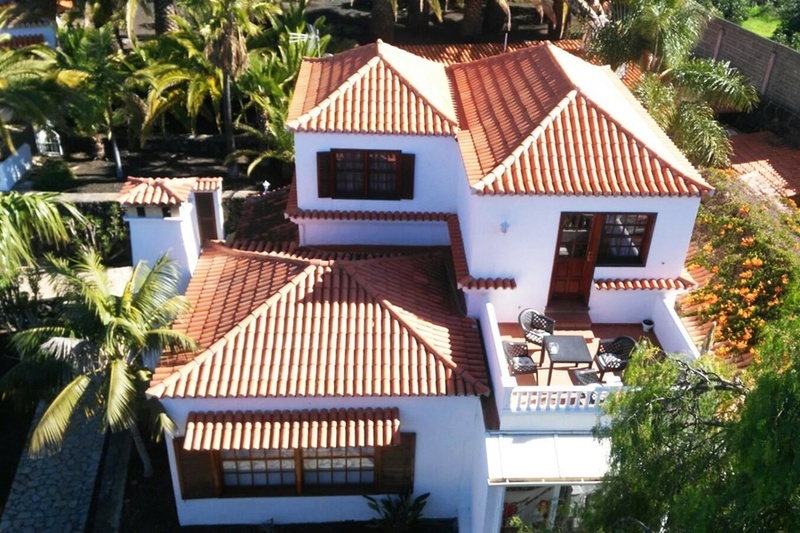 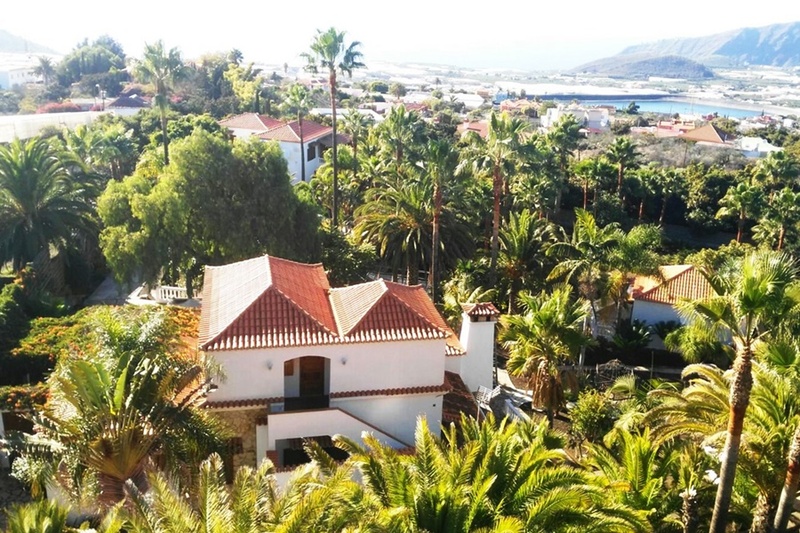 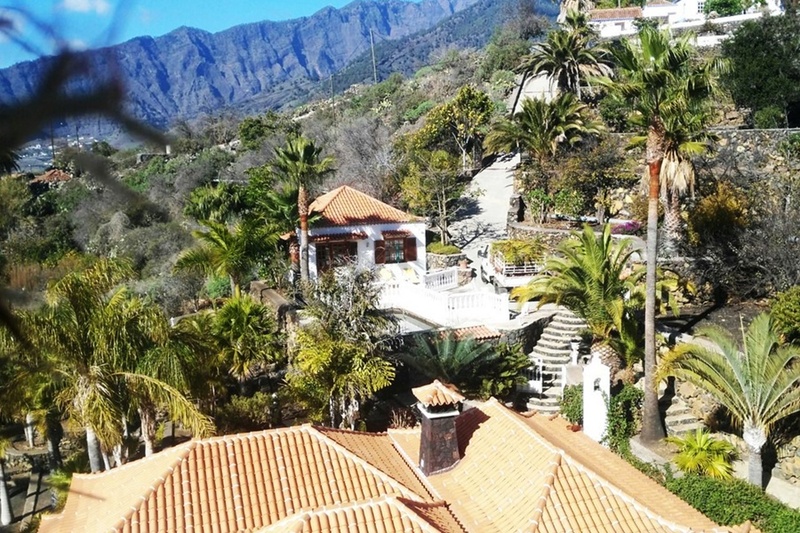 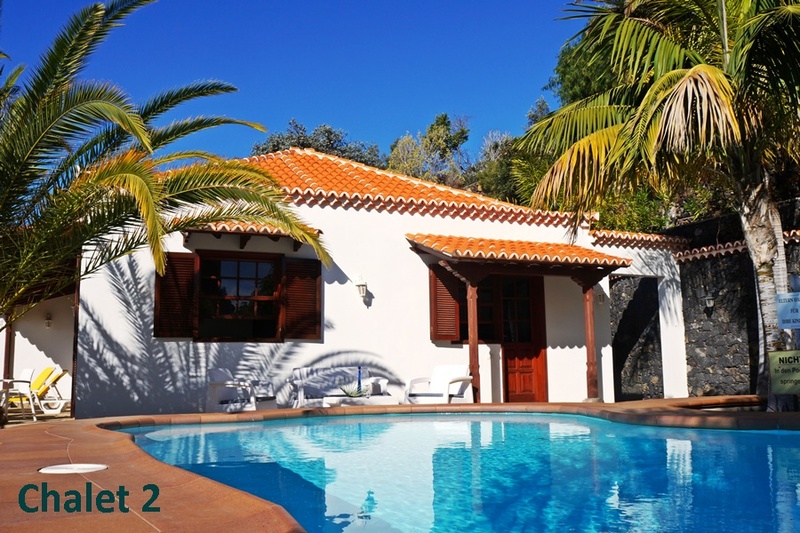 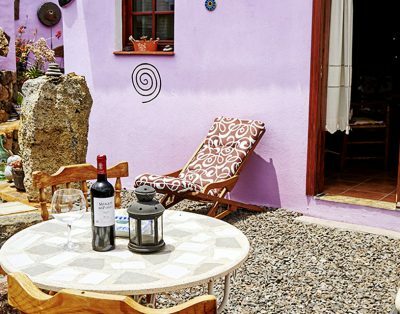 Casa de las Palmeras consists of 3 apartments, a studio, 3 bungalows and 2 chalets where a total of 20 people can be accommodated, ideal for family / friends’ party! 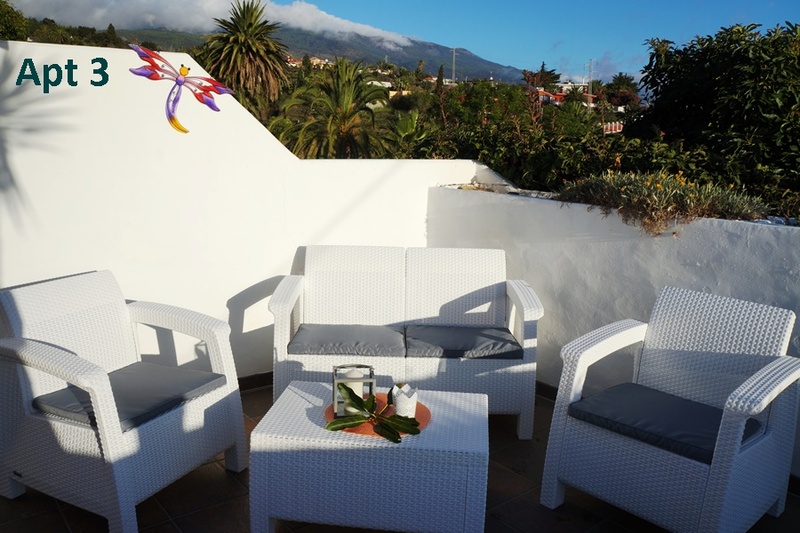 The nine residential units each with their own terrace or balcony are situated on a beautiful plot of 11,000 m² in 5 different houses. 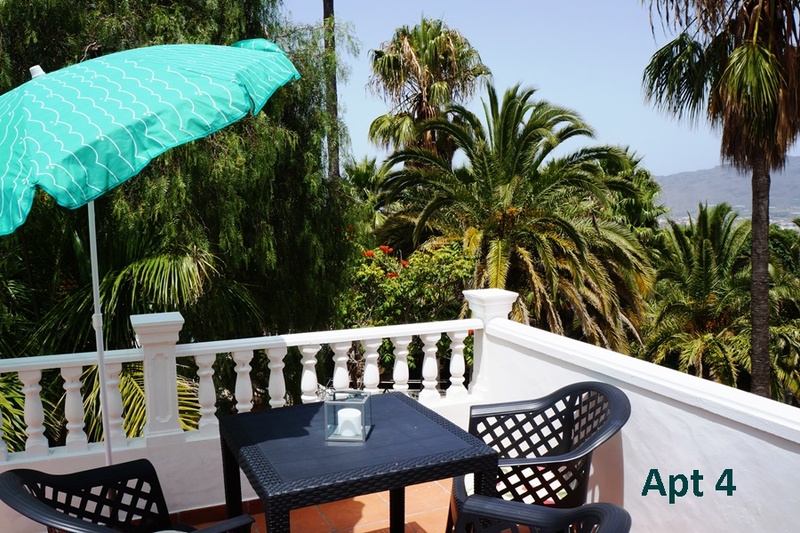 These are located in a beautiful mature garden with several sun terraces, water tanks, seating areas, barbecue places and two swimming pools. 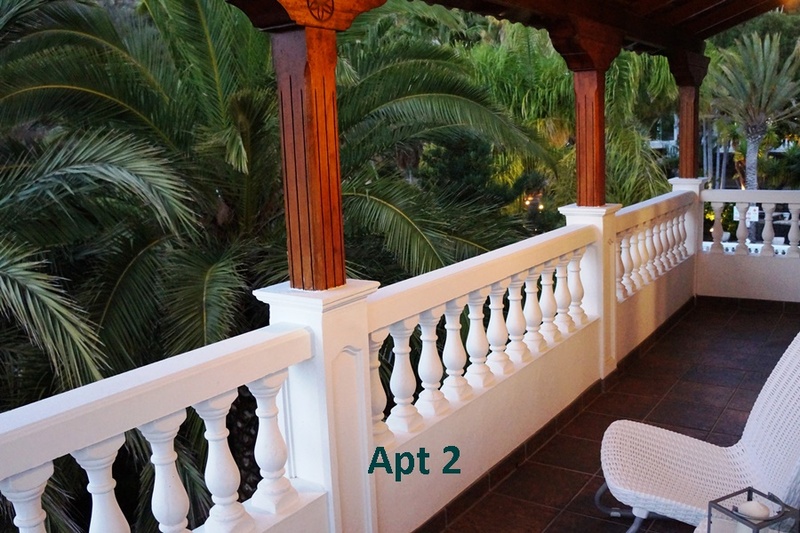 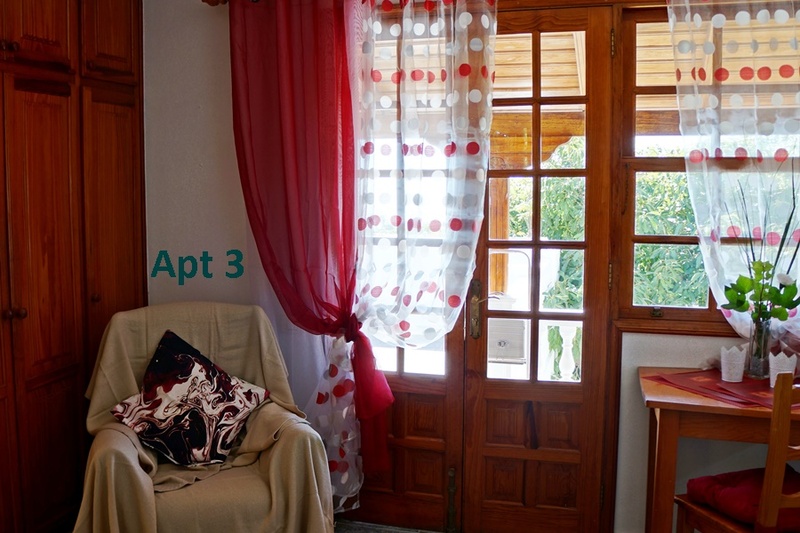 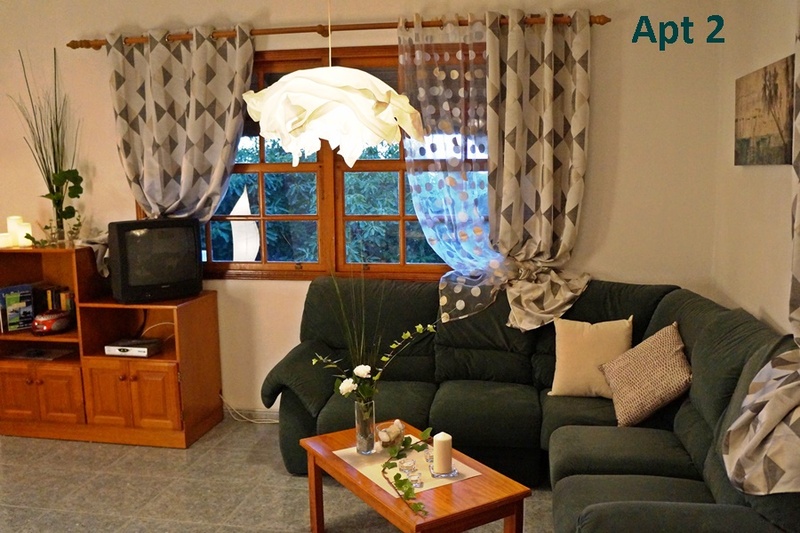 Apartment 1 is on the ground floor and is suitable for 2 – 4 persons. 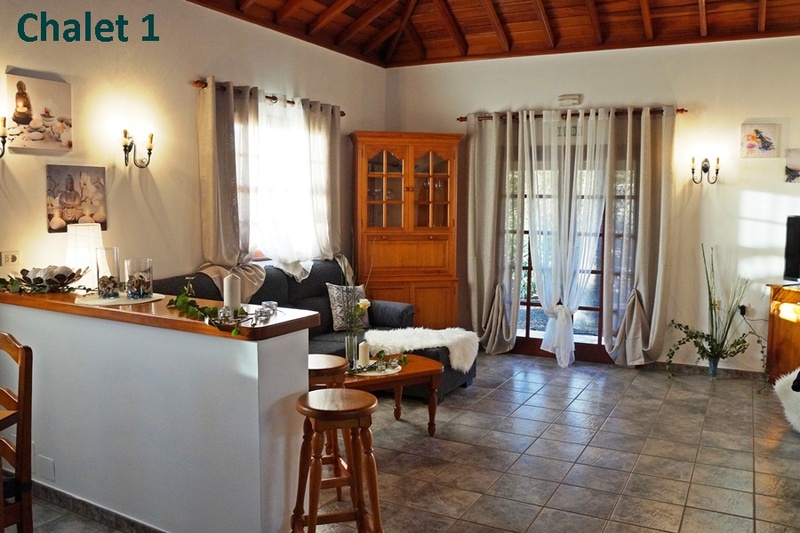 It has a surface of 73m² and consists of a spacious living room (internet & satellite TV) with open kitchen with dishwasher, 2 spacious bedrooms with double beds (160 x 190), a spacious bathroom and a lovely terrace at the cottage. 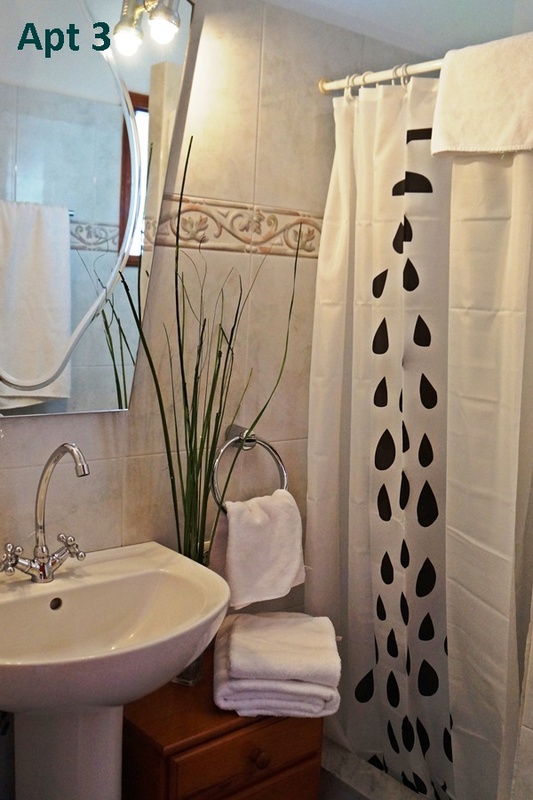 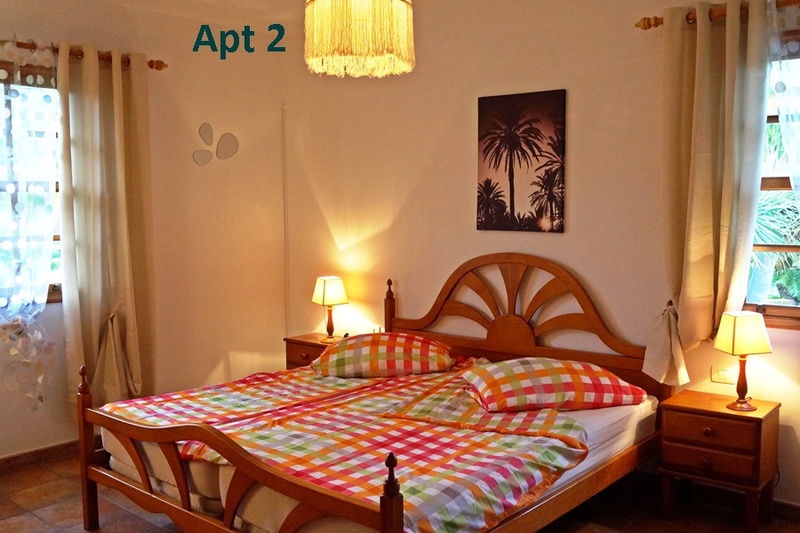 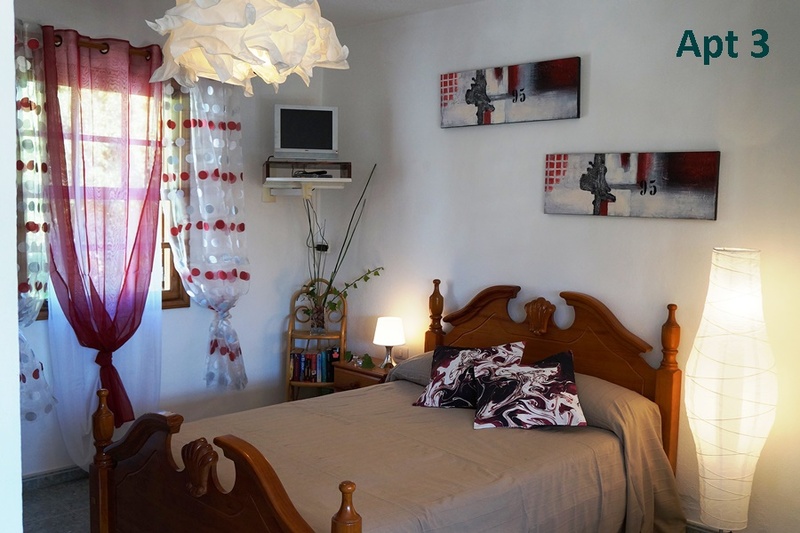 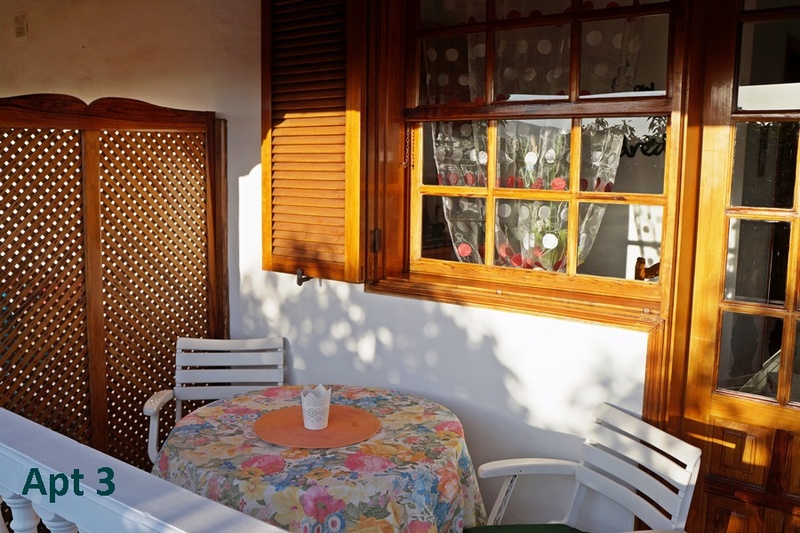 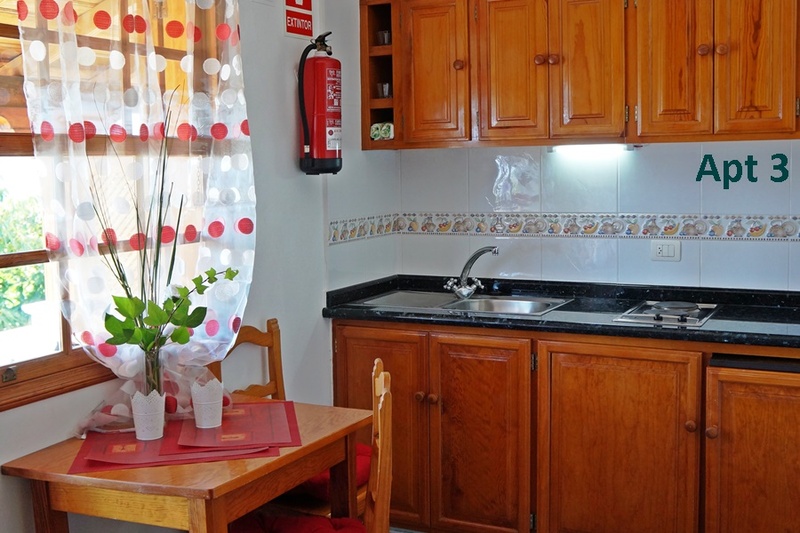 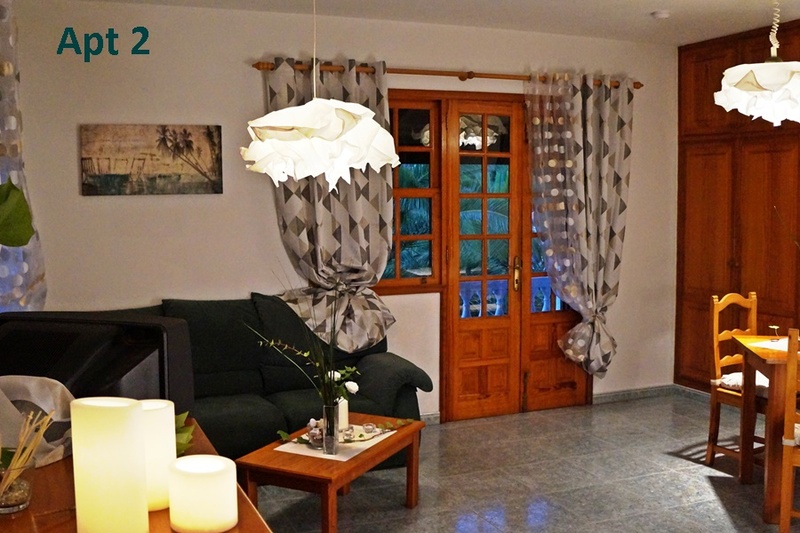 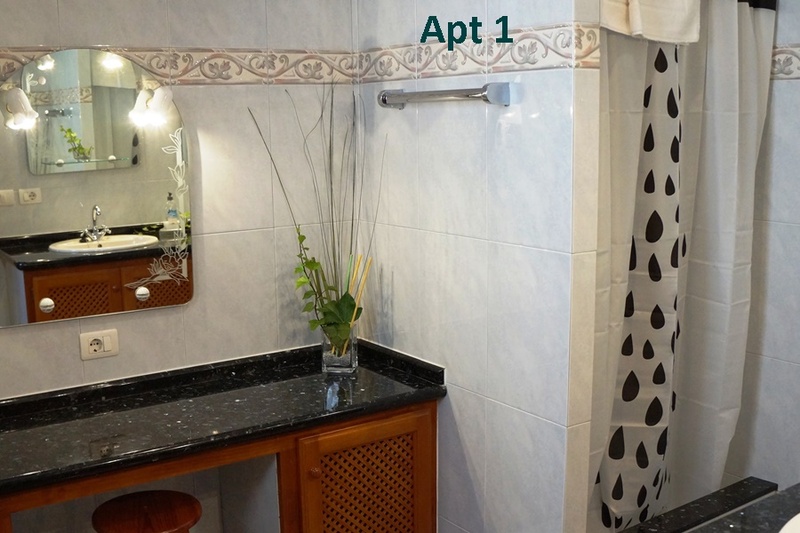 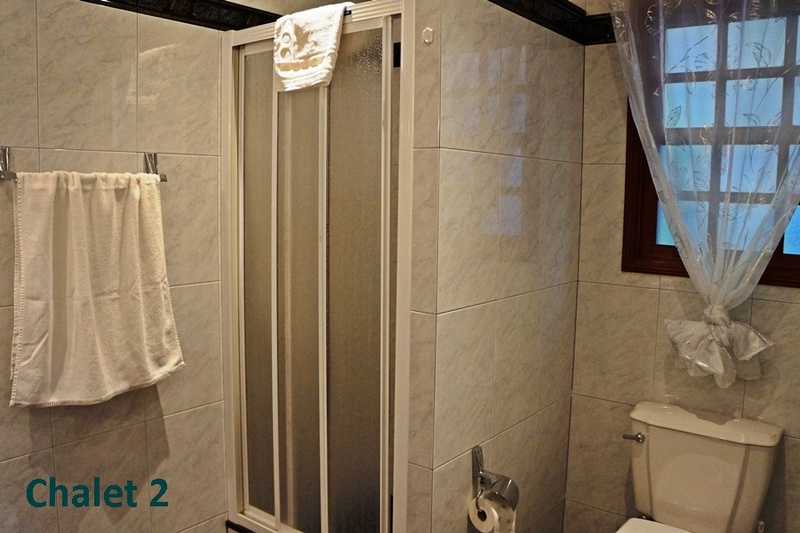 Apartment 2 is located on the first floor and is about 48 m² and is ideal for 2 people. 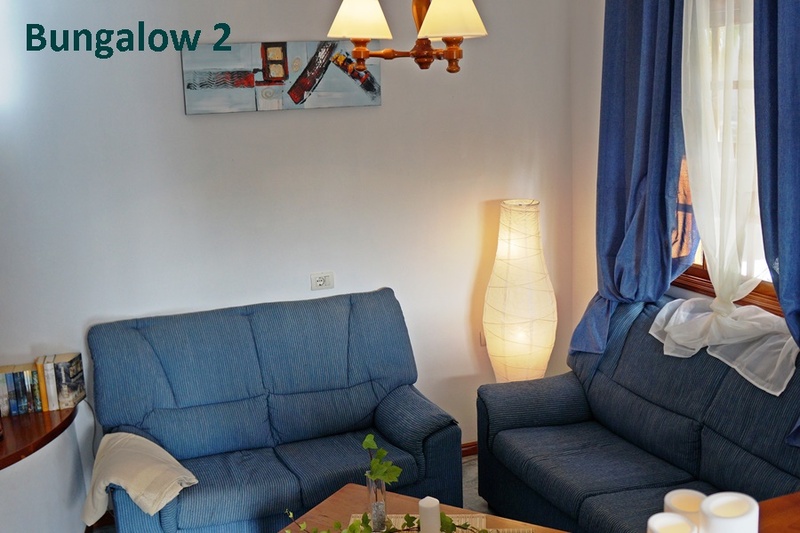 It has a living room (internet & satellite TV) with open kitchen, a bedroom with a double bed (200x 200), a bathroom and balcony. 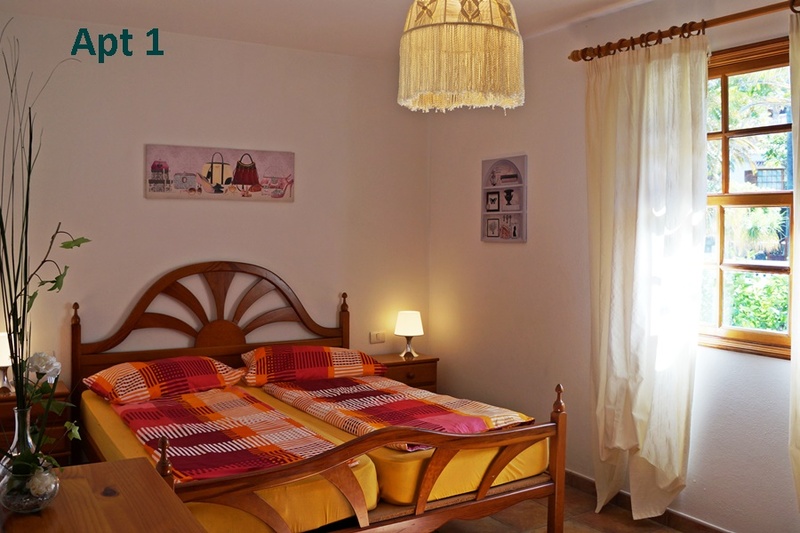 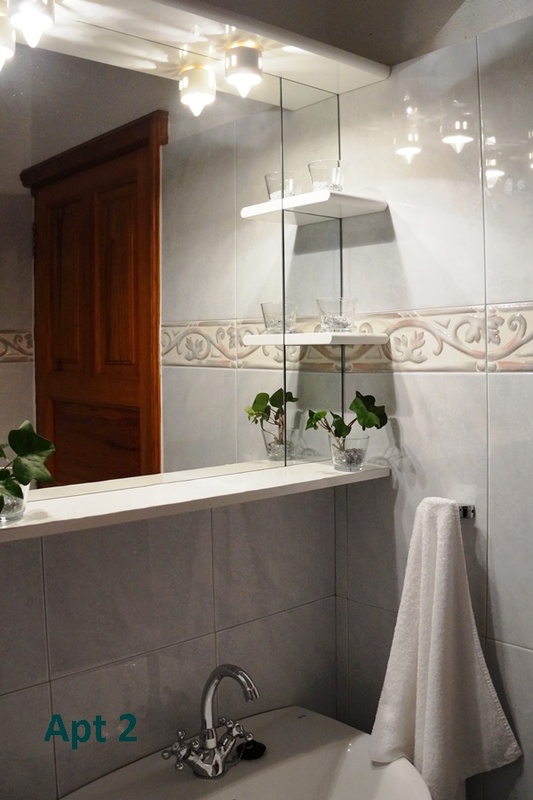 Apartment 3 is on the first floor and is a studio of 28 m² with a living / bedroom with a double bed (135 x 190), a kitchenette, a bathroom with shower and a roof terrace. 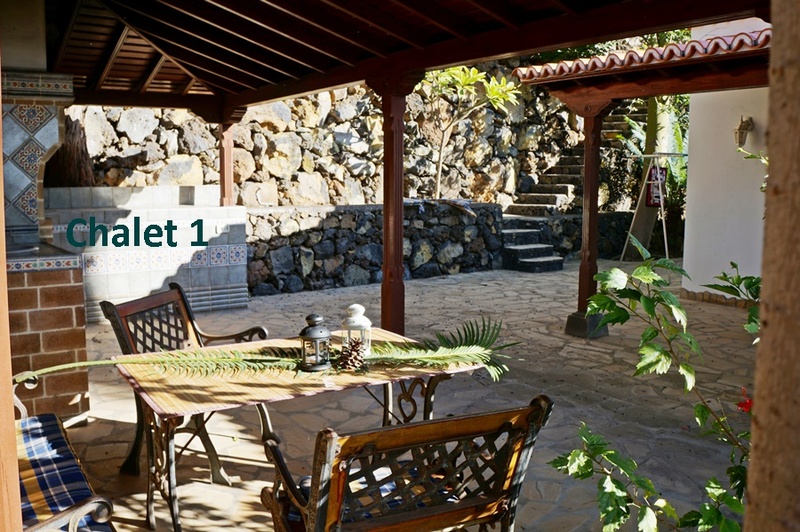 There is internet & satellite TV. 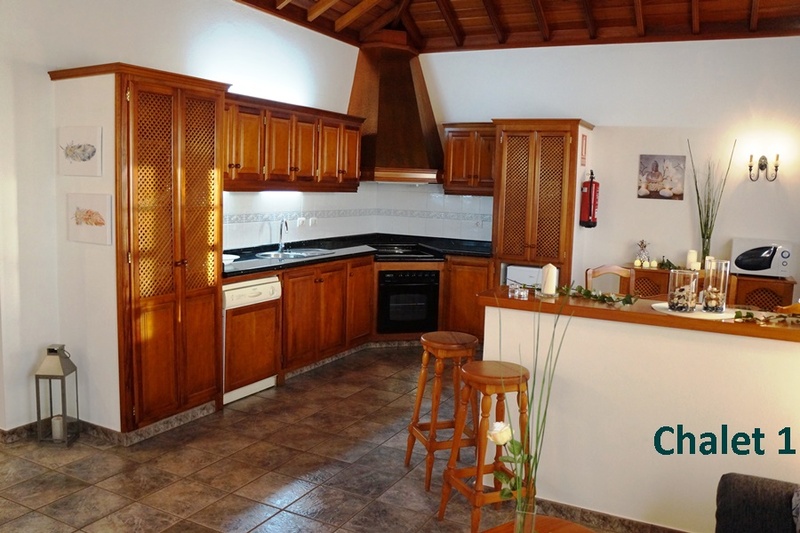 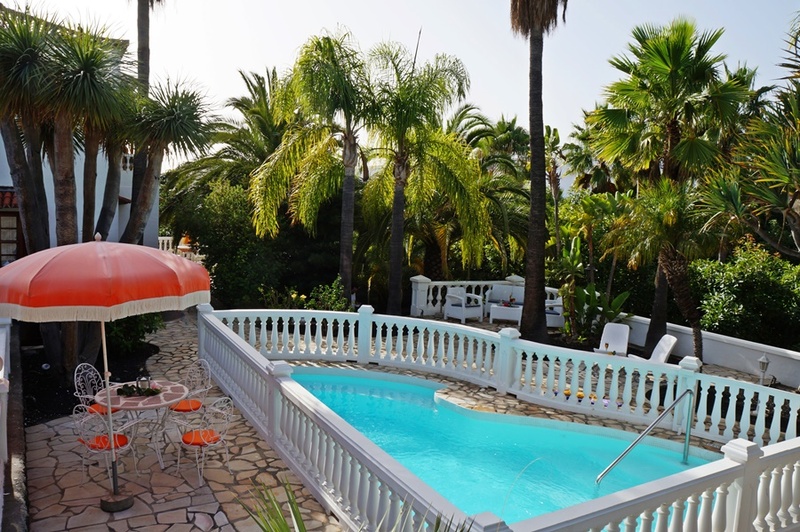 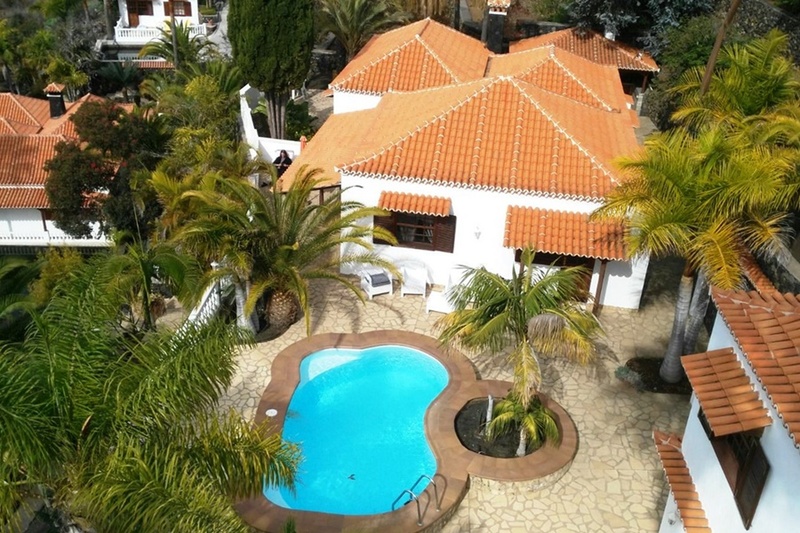 Apartment 4 is located above the private villa of the owner and has an area of 48m². 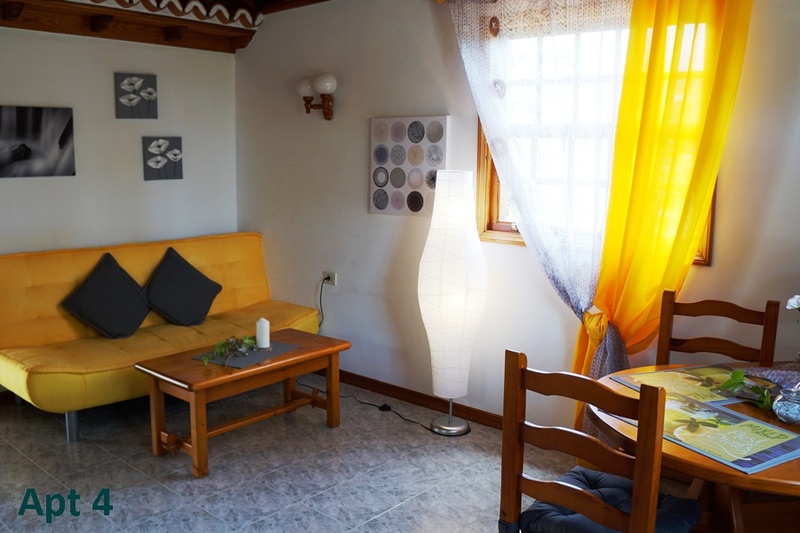 It consists of a large living room with satellite TV, internet and an open kitchen, a bedroom with a double bed of 180 x 190), a bathroom with shower and a terrace. 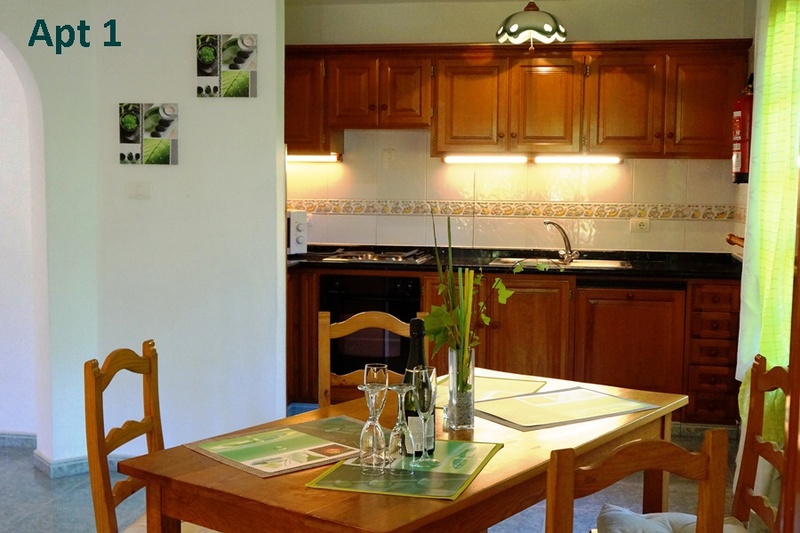 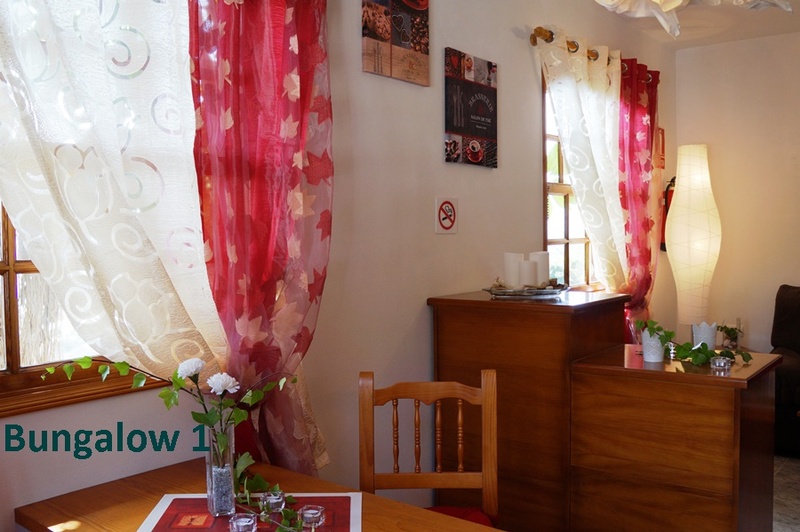 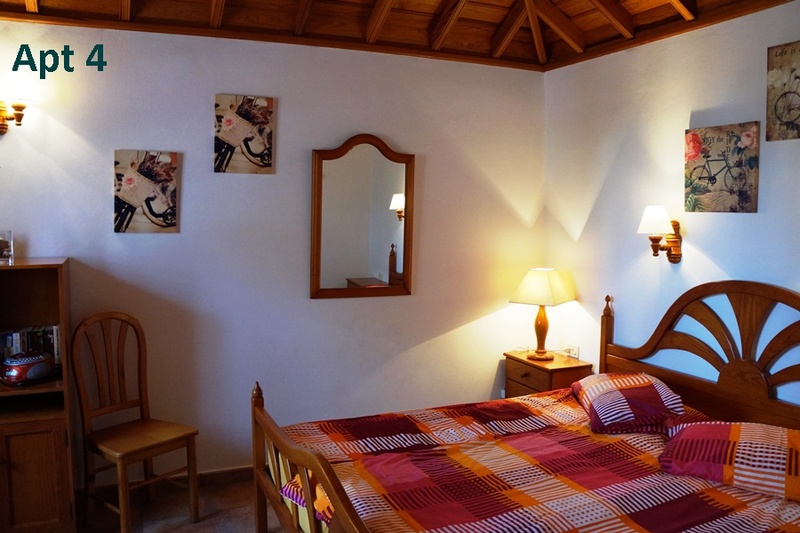 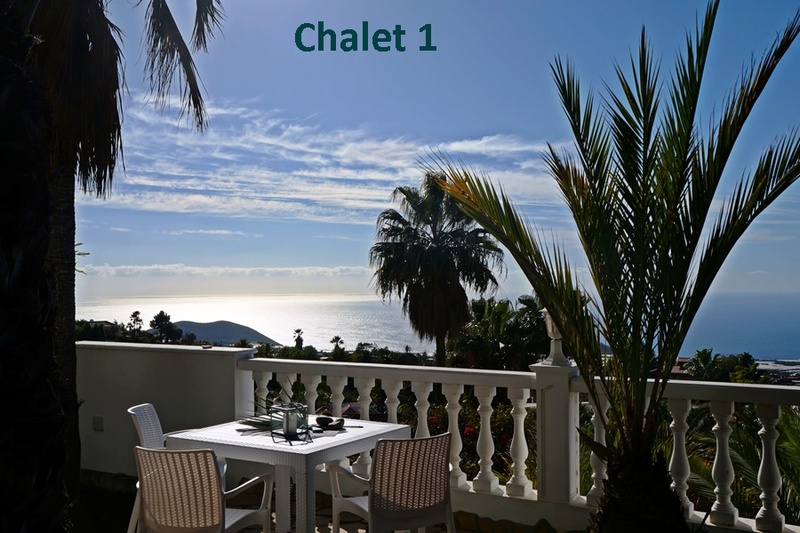 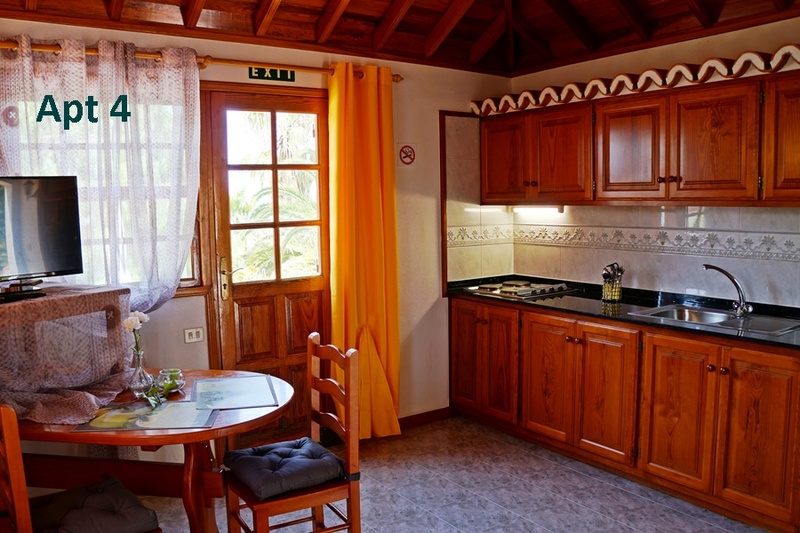 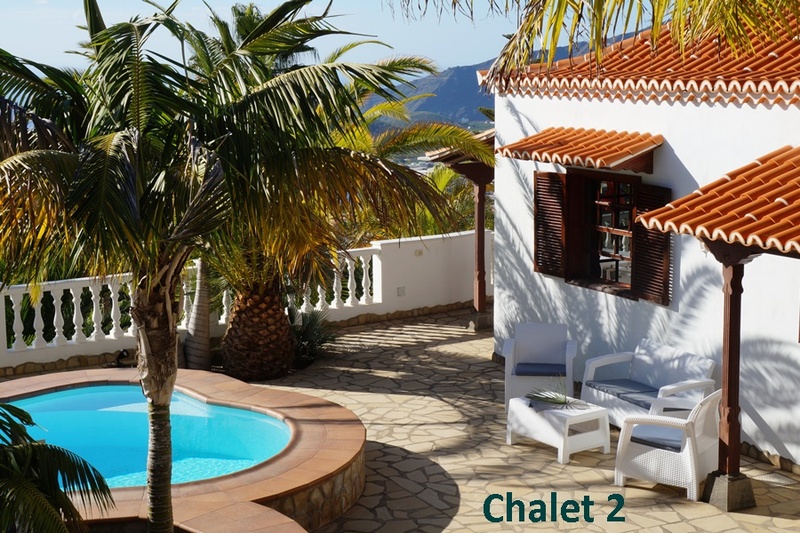 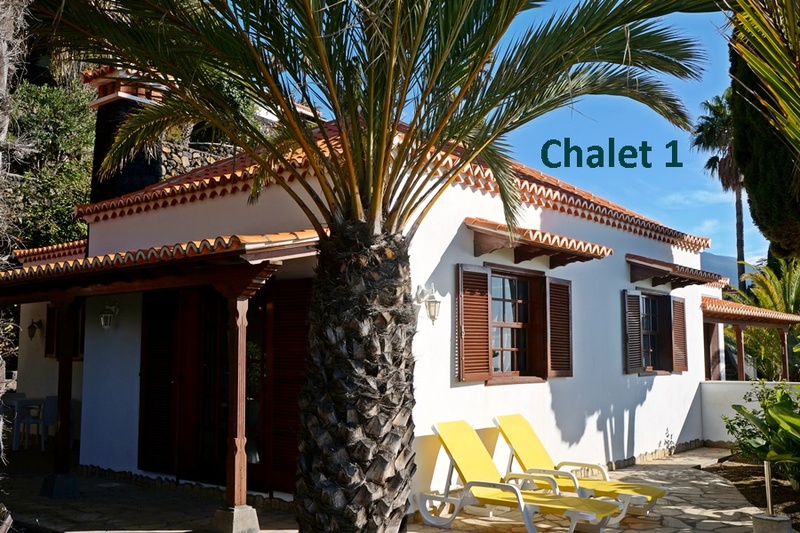 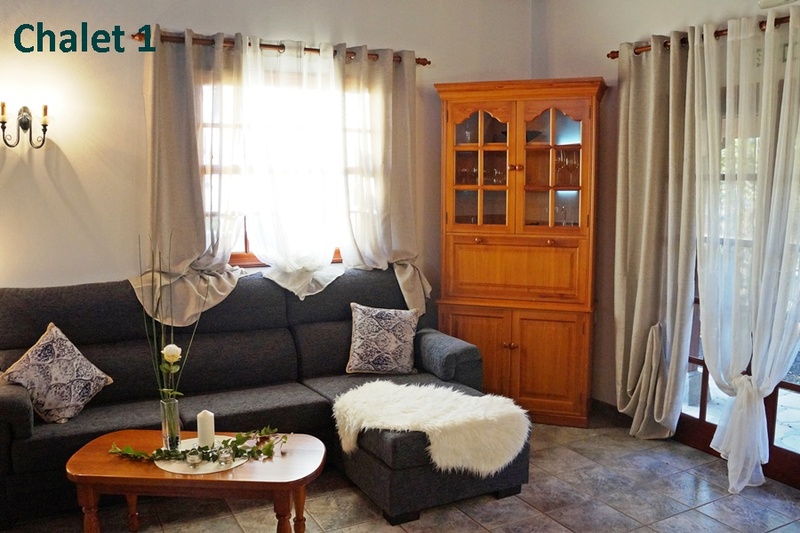 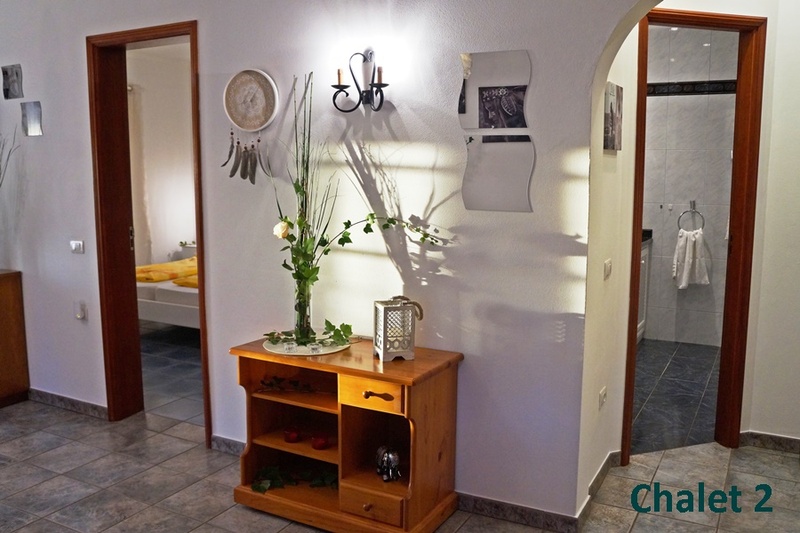 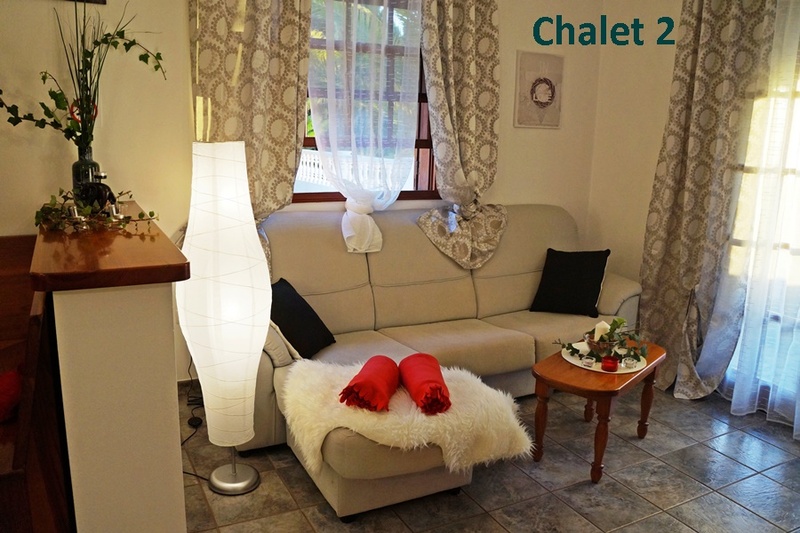 Chalet 1 is a cosy cottage of 71 m² for 2 people. 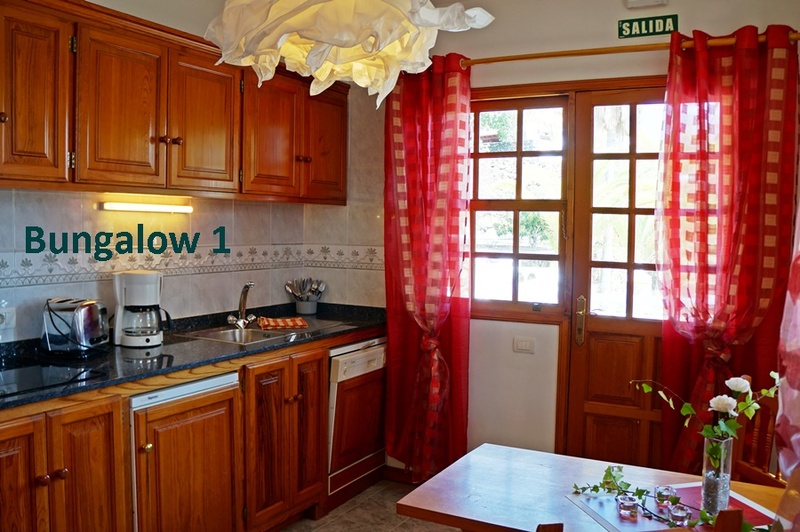 It consists of a living room with satellite TV and internet, an open kitchen with dishwasher, a bedroom with a double bed (180×200), a spacious bathroom and a lovely terrace. 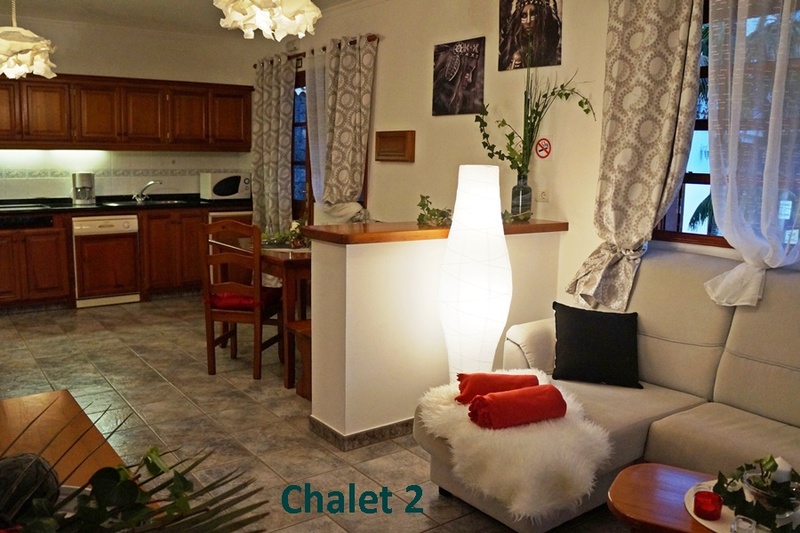 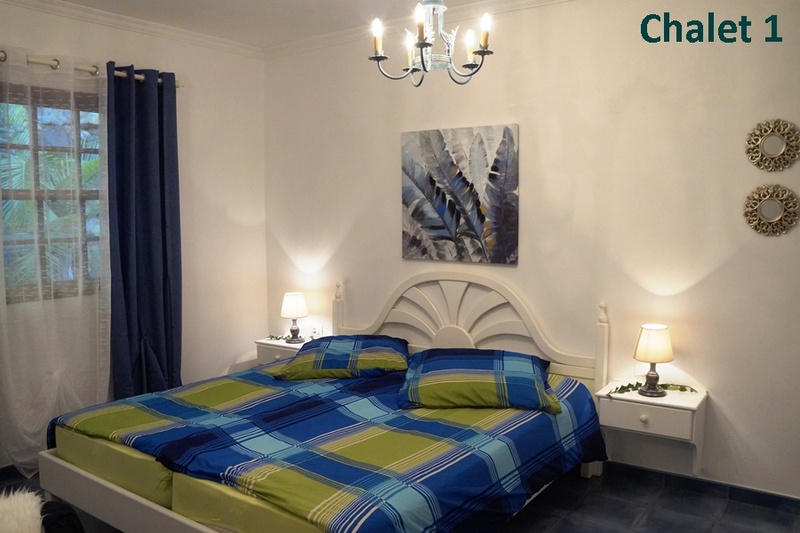 Chalet 2 has a size of 68 m² with living room with open kitchen with dishwasher, a bedroom with a double bed (180 x 200) a bathroom with shower and terrace. 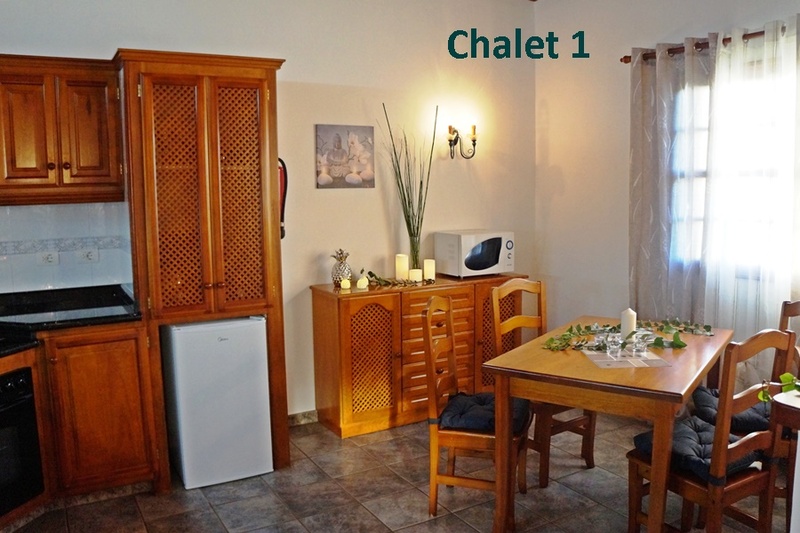 Of course, this chalet also has satellite TV and internet. 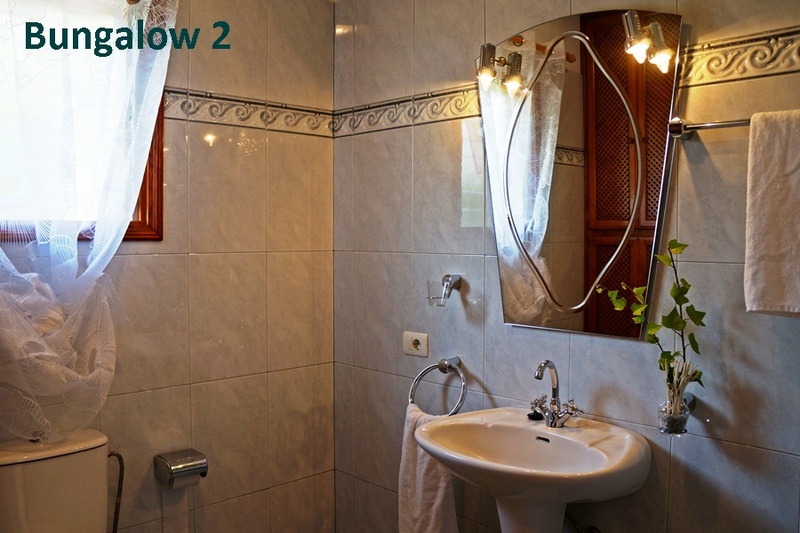 2 people: € 75, – including final cleaning. 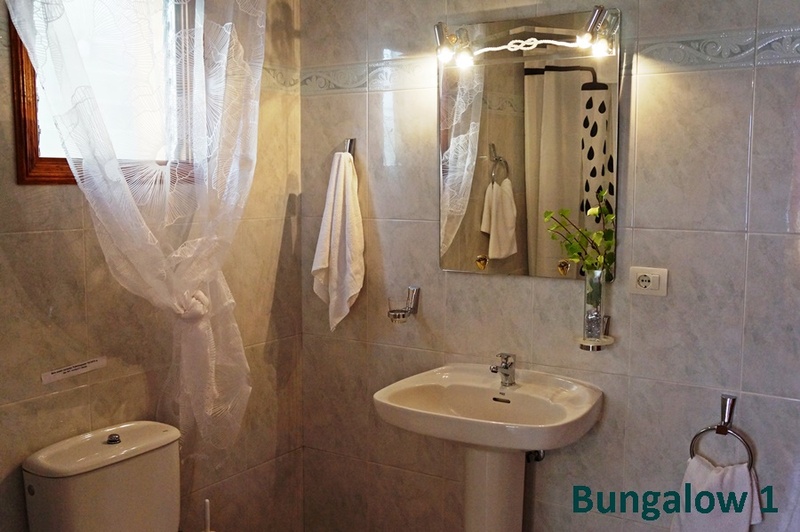 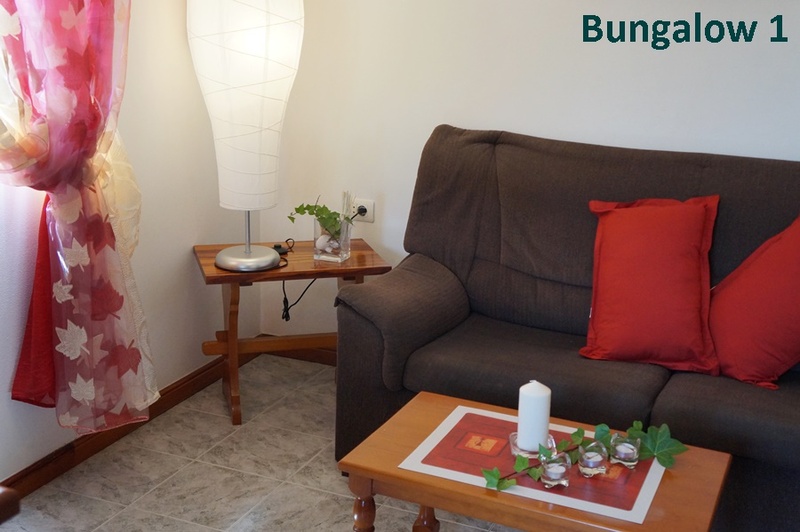 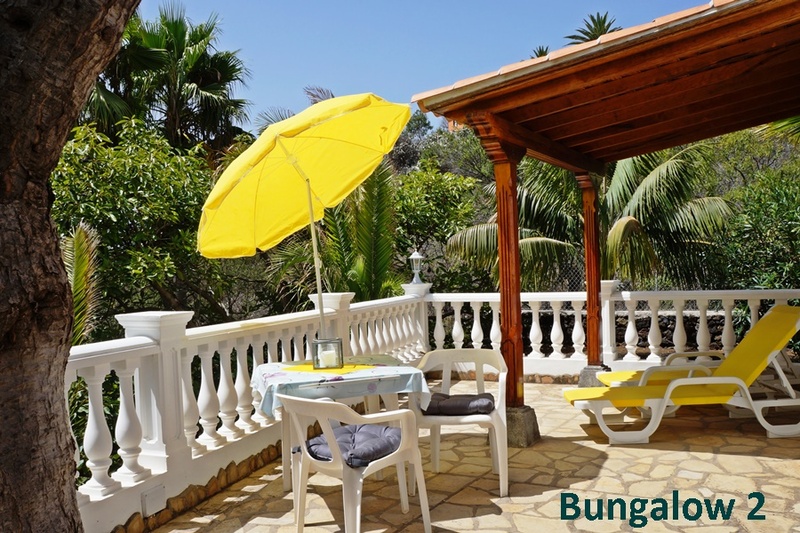 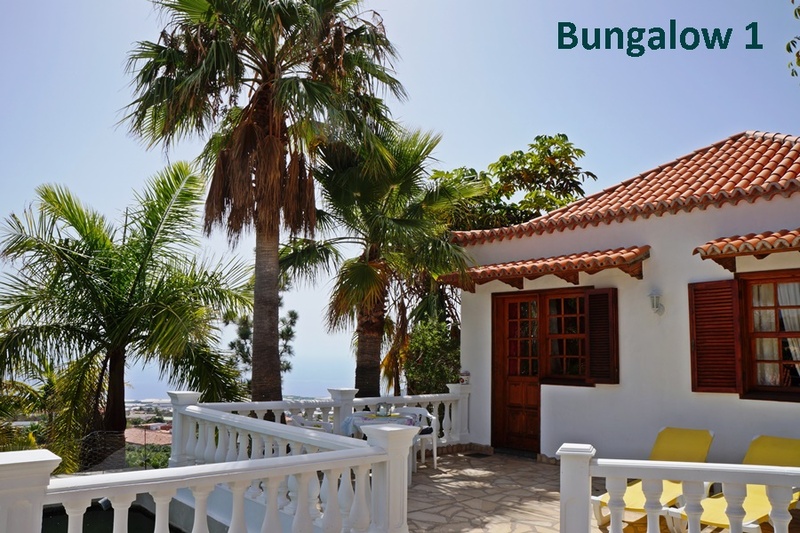 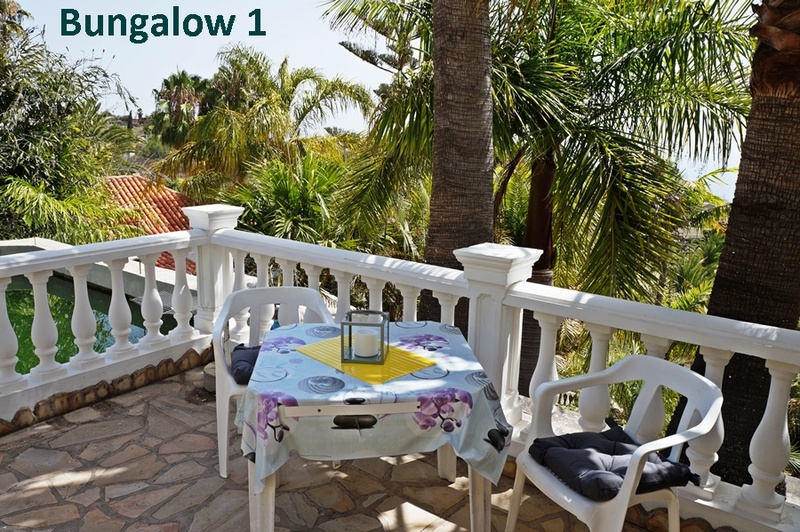 Bungalow 1 is 34 m² and consists of a living room with sitting area, dining room and open kitchen with dishwasher, a bathroom and a bedroom with a double bed (180 x 200). 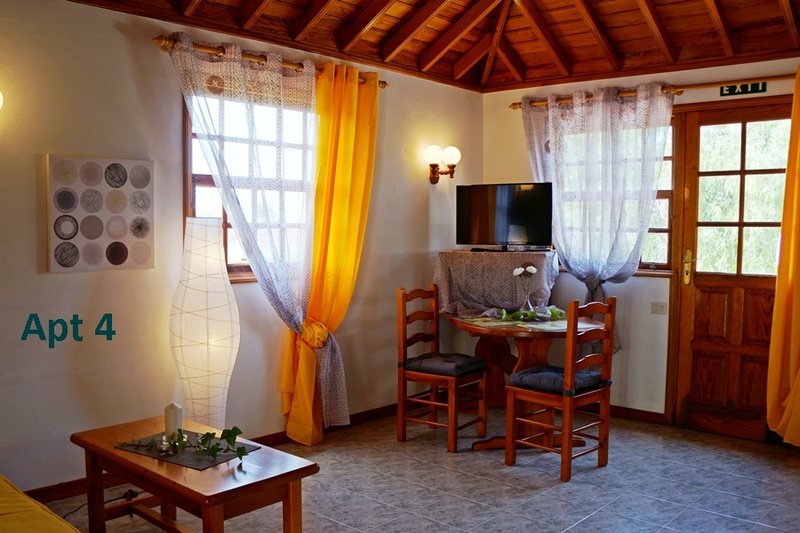 Internet and satellite TV available. 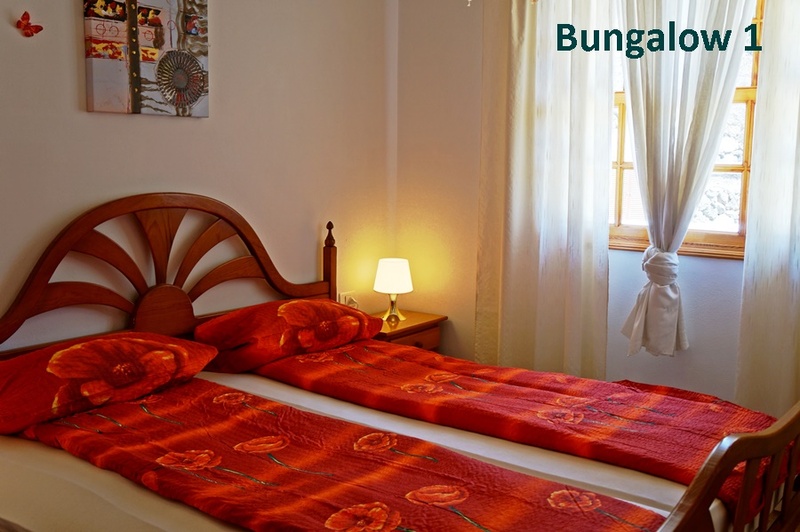 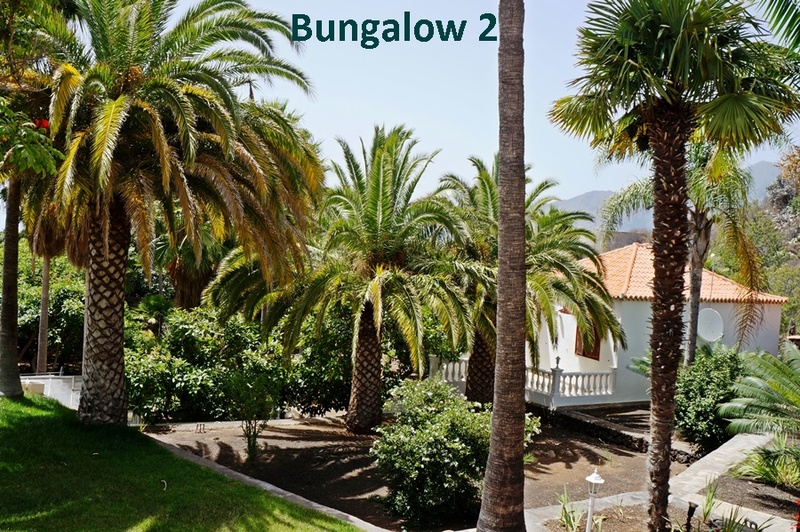 Bungalow 2 and 3 are both 42 m² with a living room with open kitchen, a bedroom with a double bed (180 x x 200), a bathroom and a terrace. 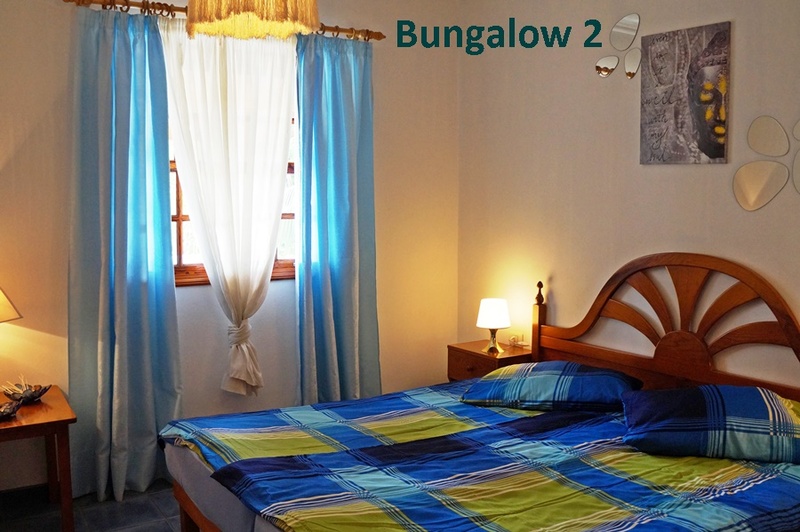 Internet and satellite are available in both bungalows. 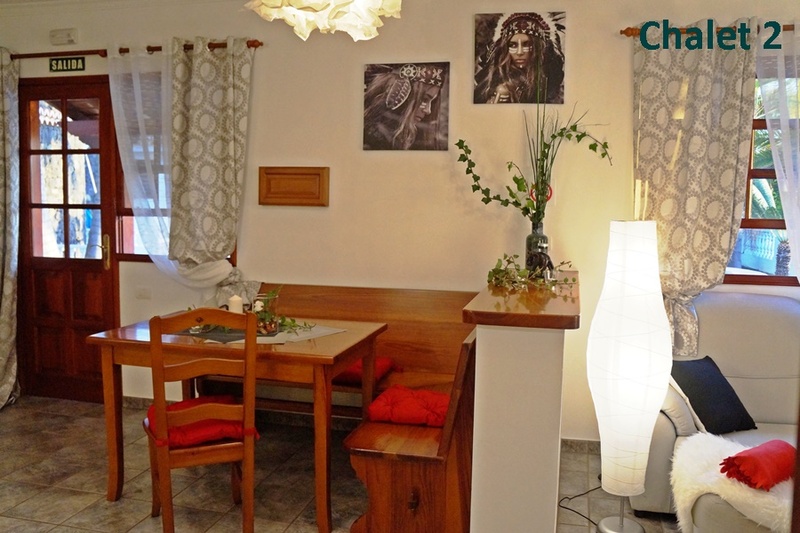 2 people: € 65, -, including final cleaning. 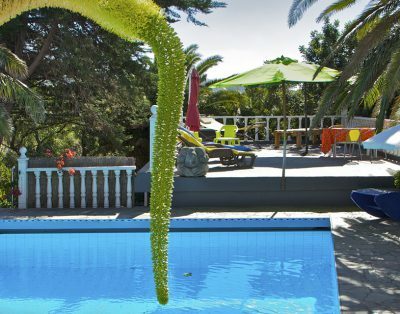 For all guests there are various seating areas, sun terraces, barbecue corners and 2 different swimming pools on the enormous plot of 11,000 m². 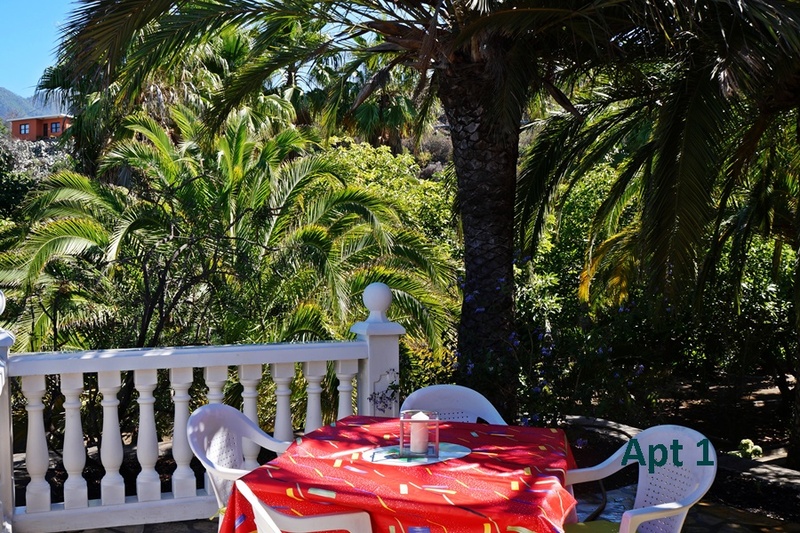 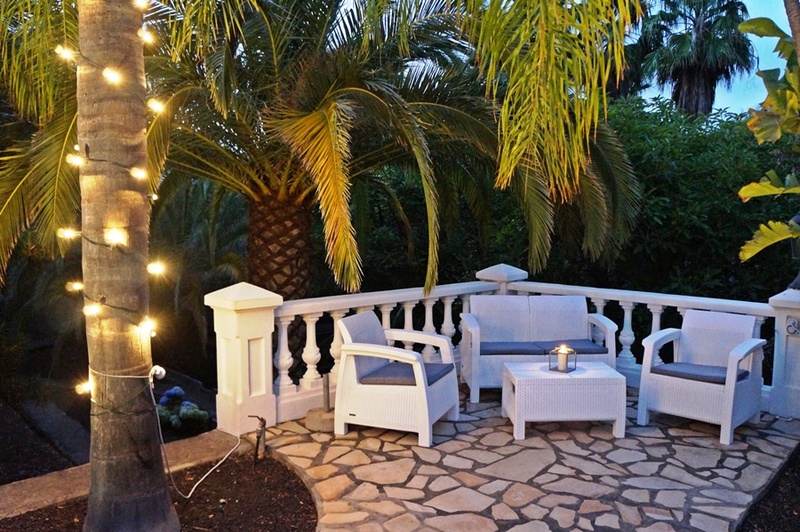 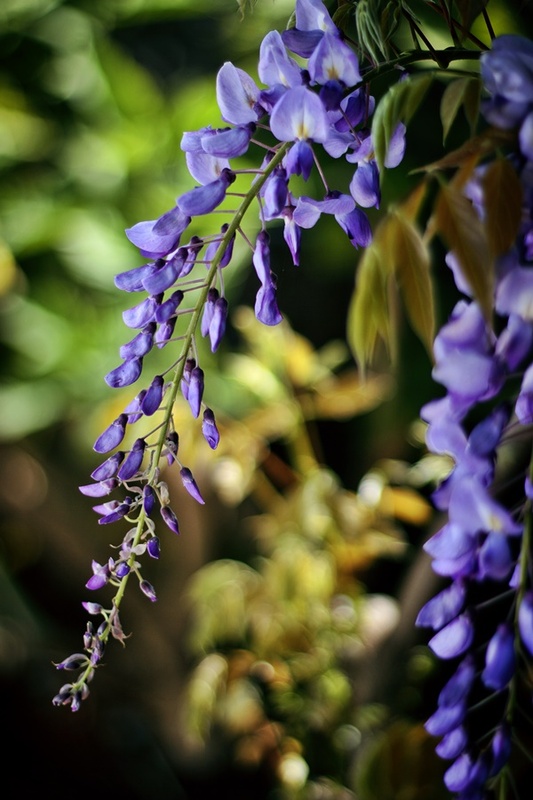 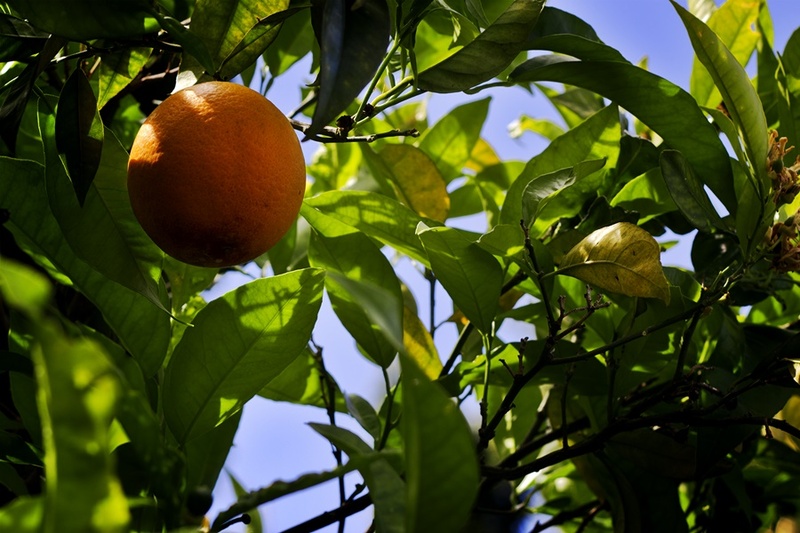 The beautiful mature garden has beautiful palms, plants and fruit trees. 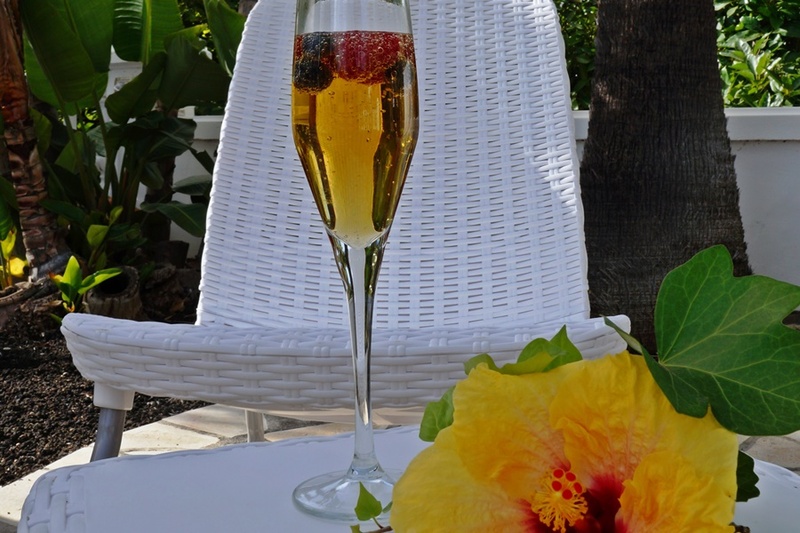 If fruit is ripe it can possibly be achieved at the reception. 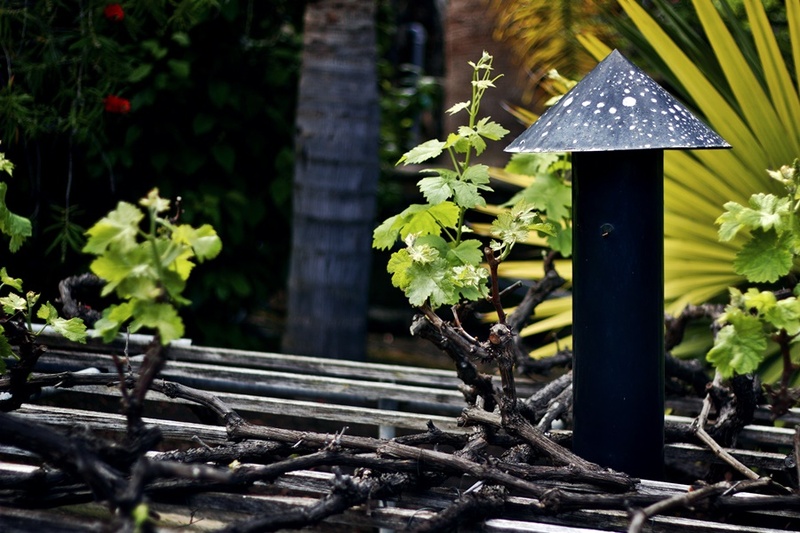 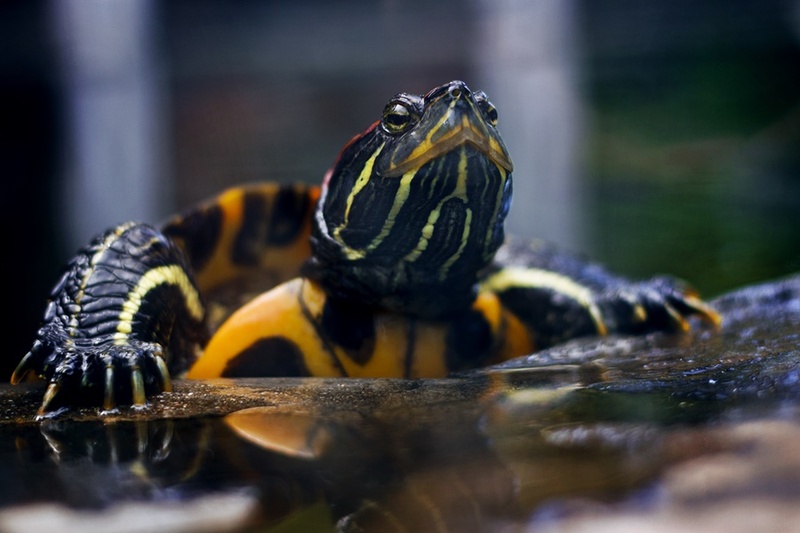 There is a small aviary, water tanks with fish and a pond with turtles. 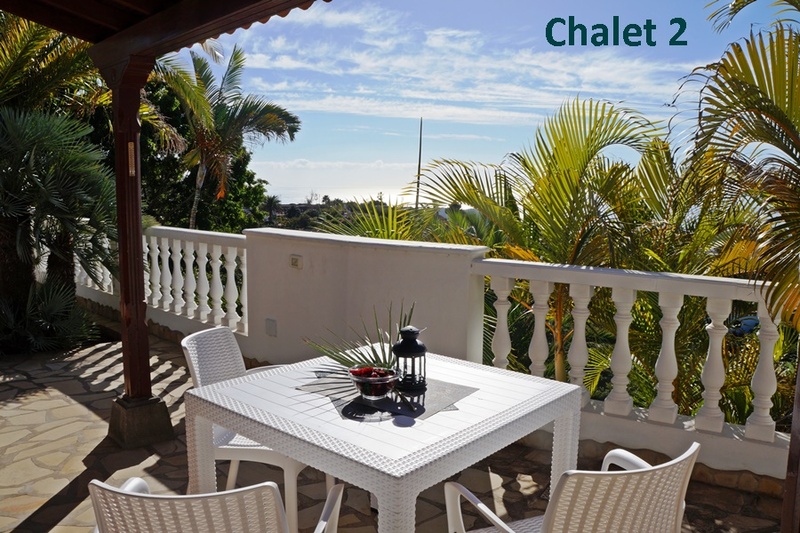 Everywhere you have a beautiful view of the Atlantic Ocean, the mountains and Los Llanos. 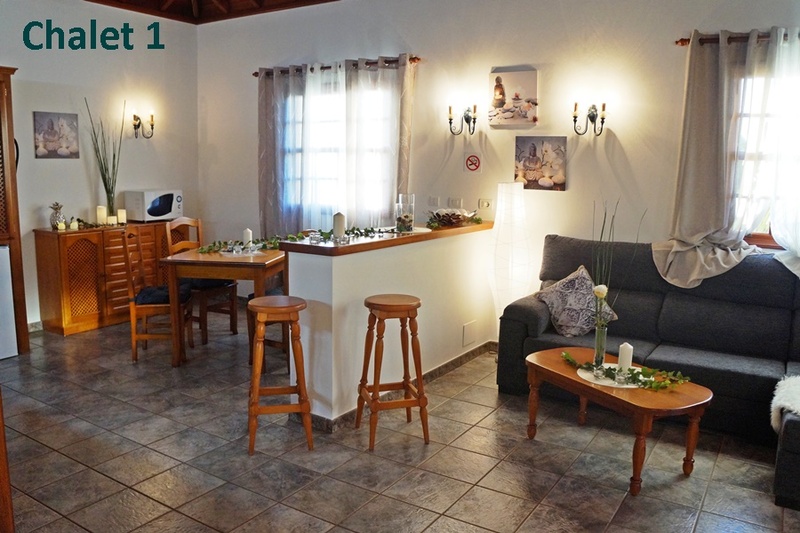 There is a reception where you can go for all your questions or wishes. 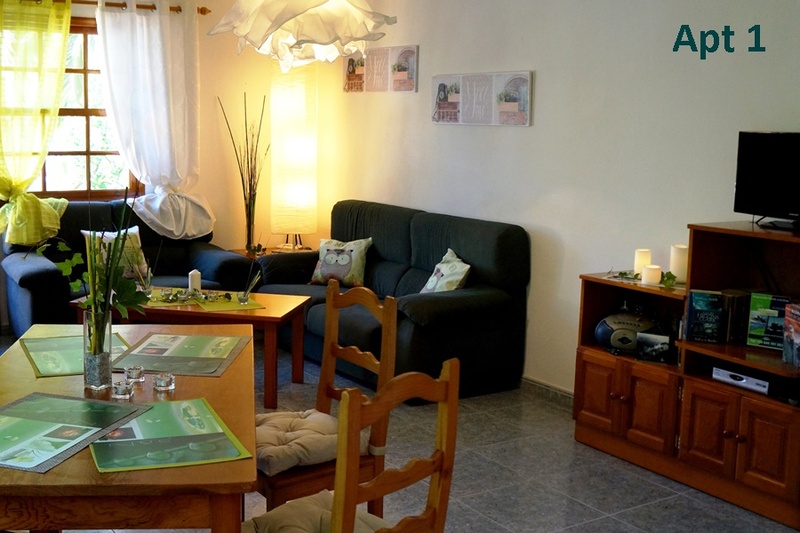 You can also arrange your excursions here. 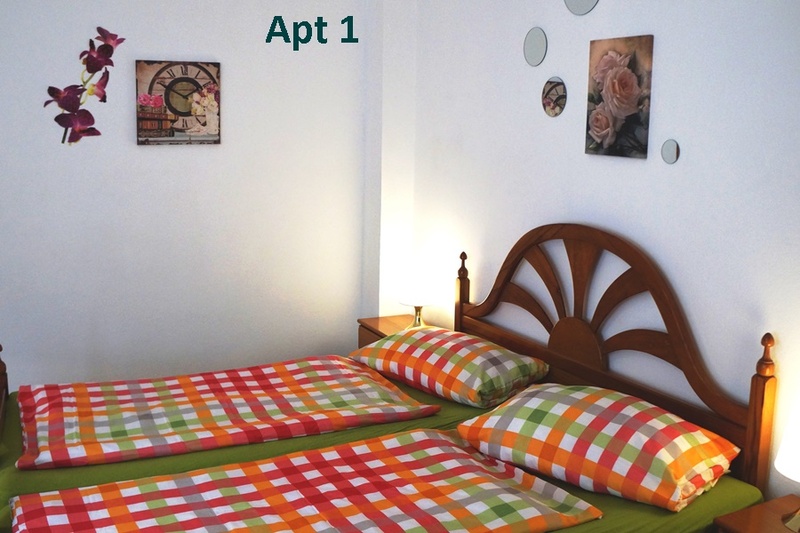 An extra bed can be placed in all cottages / apartments for a third person for € 10 extra per day. 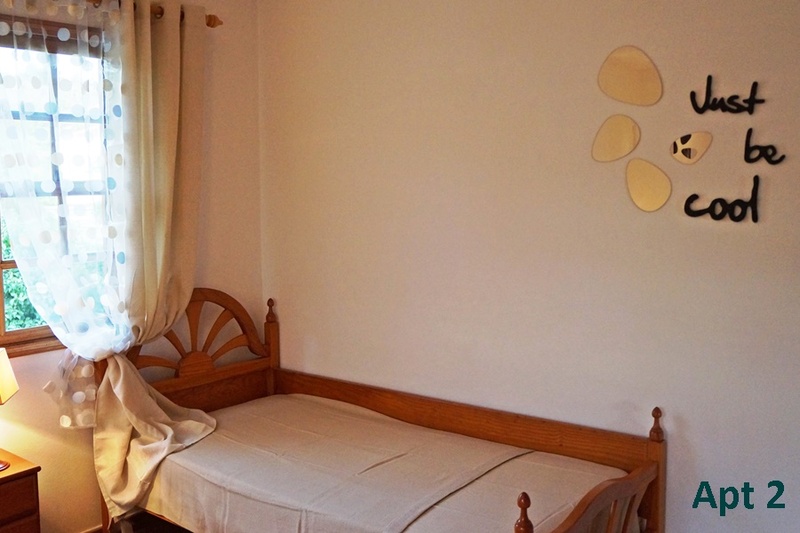 A baby cot is provided free of charge for children up to 2 years old. 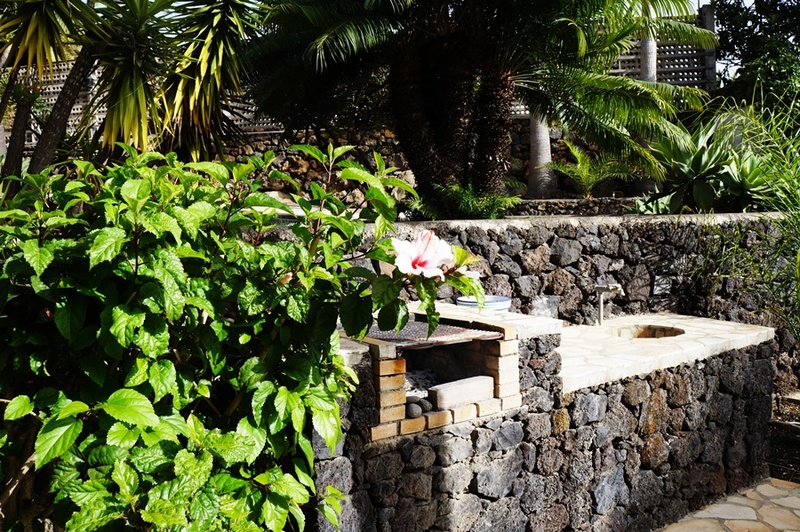 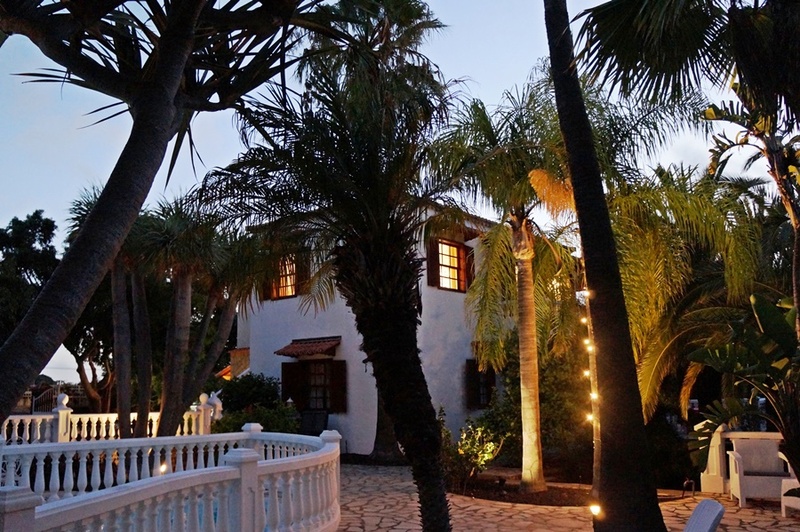 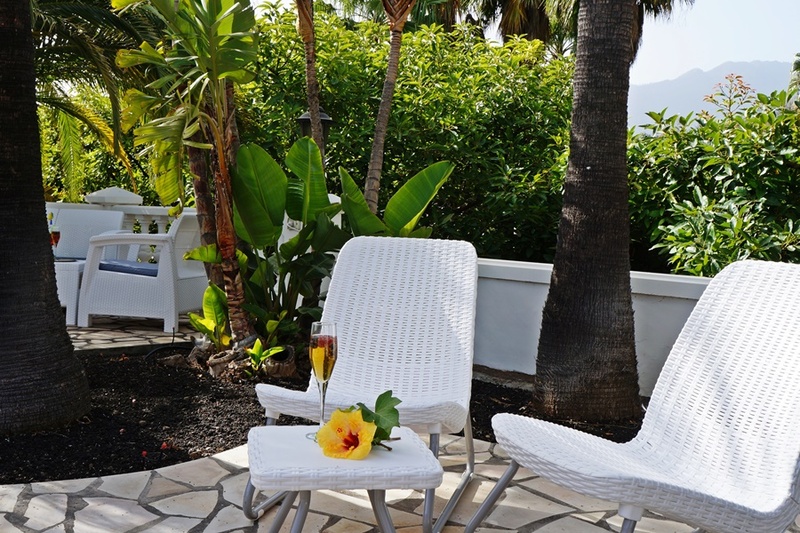 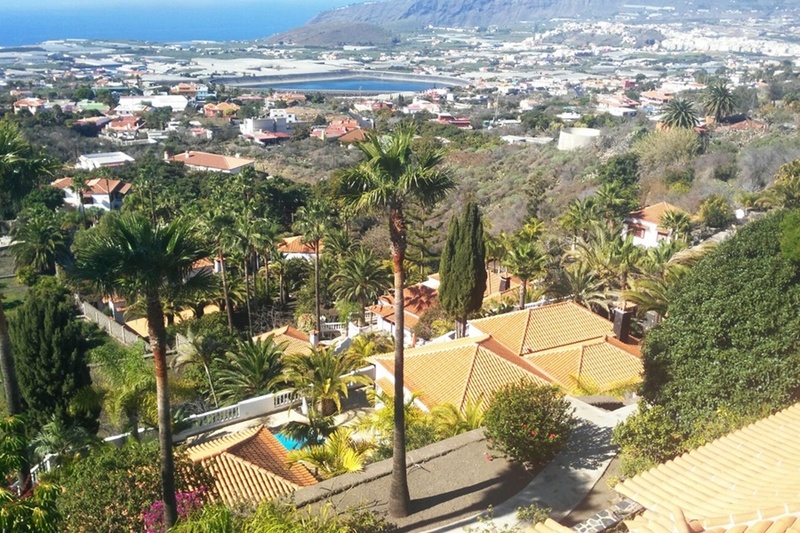 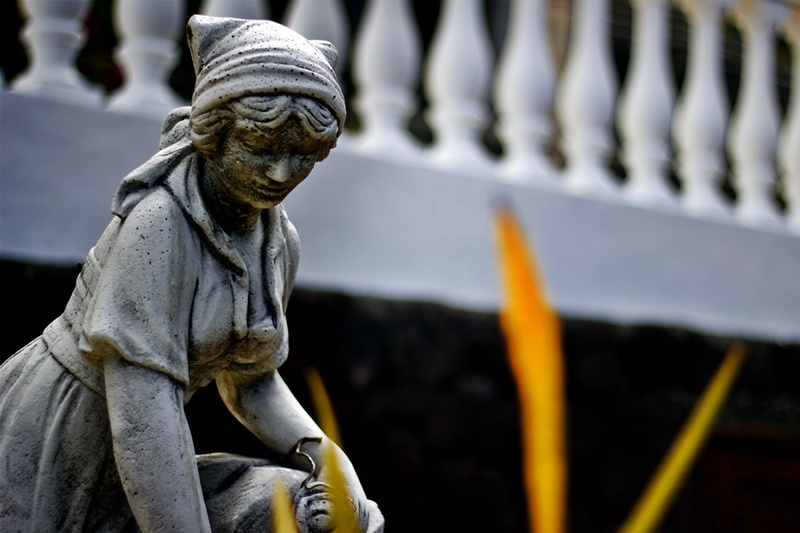 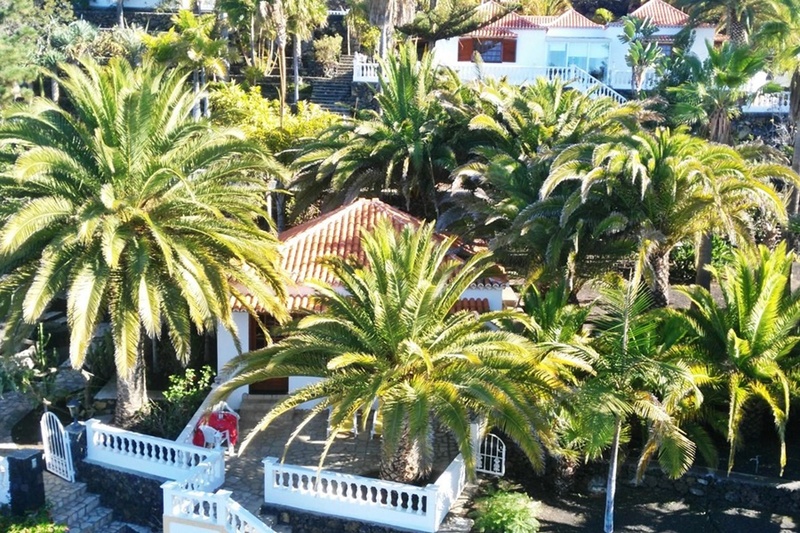 Enjoy your well-deserved holiday on a heavenly piece of La Palma!